Research on radicalization to accept extremist ideologies has expanded dramatically over the last decade, particularly attempts to theorize pathways to violence. These models are complex, and contain aspects of key criminological frameworks including social learning and social control theories. At the same time, they do reconcile the inherent differences in these frameworks, requiring research to examine how these models could be combined and the utility in using an integrated model to account for radicalization as a whole. 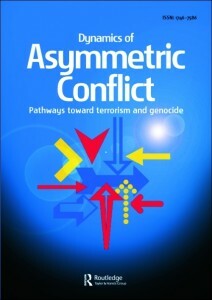 This analysis uses four case studies developed from two of the most well-known open-source terrorism databases to assess these frameworks, using two far-right and two jihadist perpetrators, with one engaged in violence and the other non-violent activity in each ideological grouping. The implications of this analysis for our understanding of radicalization and the utility of criminological theories are considered in depth.